Only 20 minutes from Hardrock stadium, home of the Miami Dolphins and 1 mile from Sawgrass Mills Mall, next to Sawgrass Mills International Corporate Park! 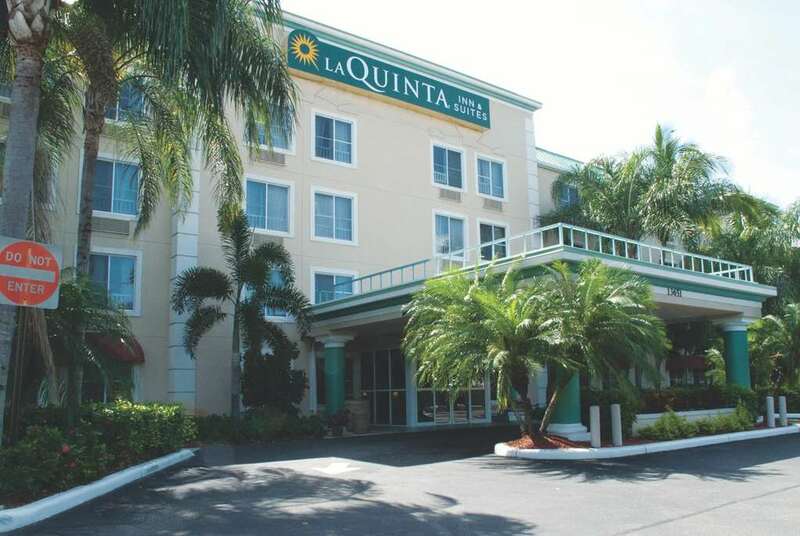 The La Quinta Inn & Suites Sunrise Sawgrass Mills is conveniently located off I-595, twelve miles west of Fort Lauderdale International Airport. We are less than two miles from Sawgrass Mills, the largest designer outlet mall in the USA, and Bank Atlantic Center, home of the NHL Florida Panthers. In less than twenty minutes, reach the Ft. Lauderdale Museum of Art and the sprawling white sand beaches, Sawgrass Recreation Park, Hard Rock Hotel and Casino, and the beautiful Flamingo Gardens just four 4 miles away. Dolphins Stadium is 17 miles. Make-your-own Belgian waffles mornings at the La Quinta Inn & Suites Sunrise Sawgrass Mills, part of a filling free Bright Side BreakfastTM prepared by our friendly staff. Ask for a Lakeside view or other room styles that come with a Microwave, Refrigerator, and other useful features. We have two Meeting Rooms for a total of 37 people (office and shipping services nearby). Enjoy our outdoor Pool and Fitness Center. We are 13 miles northwest of downtown, not far from Nova Southeastern University and Broward Community College. Bus, RV, and Truck parking available, guest Laundry Facility. All rooms feature free high-speed Internet access, New Bedding, New Carpet, Unique Package, Warm Colors, Granite Vanity Tops w/ New Sinks, Laminated wood floors.